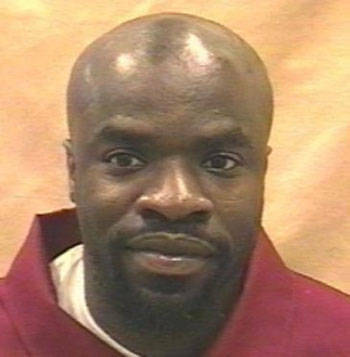 Marcus Robinson will not be executed but instead spend the rest of his life in prison after a judge ruled that his death sentence was tainted by racial discrimination. Our justice system has a racial bias problem, both in the way it treats suspects, and the way it treats victims. The cases of Troy Davis and Trayvon Martin underscore this. If the races were reversed would Troy Davis’ execution have been pursued so relentlessly, would he even have received a death sentence, would police have been so quick to ignore other potential suspects? And, had the races been reversed, wouldn’t the reaction to Trayvon Martin’s killing have been … different? But knowing there is racial bias and doing something about it are two different things. In North Carolina, something is being done. First, some background. On April 22 twenty-five years ago, in a capital case out of Georgia called McClesky v. Kemp, the U.S. Supreme Court ruled that there were indeed racial disparities in who gets sentenced to death. A study of Georgia’s death sentencing patterns, known as the Baldus study, did indicate “a discrepancy that appears to correlate with race” the Court held. But, bizarrely, the High Court ruled that this evidence of systemic racial bias didn’t matter. Unless discrimination could be proven in a specific case (McClesky’s), they would do nothing. System-wide bias was irrelevant. He worried that “we could soon be faced with similar claims as to other types of penalty.” If this wasn’t nipped in the bud, judges might have to do something about racial bias in ALL cases! In 1987, Justices of our highest court prevented this outbreak of “too much justice” by turning their robed backs on claims of systemic racial bias. Justice Powell later regretted this decision, but the damage was done. Today, racial bias continues to permeate every stage of our criminal justice system, a system that has exploded to now house one quarter of the world’s prisoners. There also continue to be racial disparities in terms of how victims are treated, and killings like that of Trayvon Martin where there seems to be a complete disconnect in the community along racial lines. But in 2009 North Carolina tried to overcome the “fear of too much justice” by passing the Racial Justice Act, a law which allows courts to consider statistical evidence of racial bias when deciding whether death sentences are appropriate. Today, that law was upheld, and Marcus Robinson was resentenced to life without parole due to the significant role race played in North Carolina capital cases at the time of his trial. This decision, the first involving the new Racial Justice Act, is a major step in the right direction. Twenty-five years ago, the Supreme Court had the chance to address fundamental questions about racial bias in our courts. They punted. Hopefully what is happening in North Carolina means that, 25 years later, we are finally ready to confront race and criminal justice in America. This entry was posted in Death Penalty, Prisoners and People at Risk, USA and tagged abolish the death penalty, death penalty, georgia, Marcus Robinson, McClesky v. Kemp, north carolina, Race, racial disparity, Racial Justice Act, Racism, Trayvon Martin, troy davis, U.S. Supreme Court, US criminal justice system by Brian Evans. Bookmark the permalink. Brian Evans is the Director of Amnesty International USA’s Death Penalty Abolition Campaign. Personally, I have no issue with someone being lethally injected for committing acts of violent and premeditated murder, none at all, but those poor, innocent families that are left behind. As if they haven’t suffered enough already by having a convicted killer in the family, we can only surmise at the unimaginable pain they experience when their family member is put to death. Focus solely on the crimes of these vicious and callous murderers and for many of us it is really quite easy to support the death penalty. If we stop for a moment, though, and consider the families of these killers in a way that they themselves never did when they committed their murderous acts, we might just be satisfied with life in prison without parole, at least, that’s my view. Even if we accept a framework in which retributive justice is valid (which I’m fine with on television and not so much in real life), it remains that (1) that’s a terrifying power to grant any government, and (2) the system semi-regularly gets it wrong and kills people who didn’t get a fair trial or indeed did not even commit the crime they were convicted of. As far as (1), goes, not knowing your beliefs, there are still probably at least a half-dozen things the state does on a daily basis that you think are stupid or criminal. Why would you trust it with our very lives? Perfectly acceptable points you make, perfectly, and difficult to argue against; I don’t think I can. I guess the whole death penalty issue boils down to what shades of glasses people look through when speaking about it – debating it – legislating on it – administering it – receiving it. My glasses change their shade from time to time. I think maybe other people’s do too. You look at capital punishment through, let’s say, glasses that have green lenses. You see, or your focus is on Governments meting out retributive justice and getting it wrong occasionally etc and it is a perfectly legitimate picture that you see. My glasses have orange lenses. They have me focus on another group of people who are often forgotten about in all this but are just as much victims as those created by the murderers… the families of the executed. So I prefer that Governments do not create more victims, break more hearts by executing but instead punish vicious murderers with life without parole. Well over 60% of Americans (the number fluctuates but is always in the majority) see capital punishment with glasses that have red lenses. Their focus is solely punishment of the murderer, an eye for an eye. The condemned inmates facing execution might well have glasses that have yellow lenses, “killing me is wrong and won’t bring back nobody and will serve no purpose”. Every once in a while a foul animal comes along here in the UK like Ian Huntley and I take off my orange lenses specs, throw them on the table and put on my other glasses; their the one’s with the RED lenses. Your analogy is fine, although it’s probably faster to just say everyone has a different perspectives and sometimes one’s own perspective might change based on the mood, or the time of day. For myself, I might be screaming for blood if it were my family member killed, but in everyday life I can’t stomach the idea. I’ve wished people dead, and in real life situations felt close to throttling someone, but when I look back I realize I wasn’t showing the best part of myself. And it’s a perfectly good thing to do to think of a killer’s family as well; it’s something I don’t think is done a lot, and certainly a perspective I’m embarrassed that I may never have taken into account before. On the other hand, if someone has no family or has alienated them, I’m still against penal killing. I say if crim. Just. depends on where you finish in some kind of footrace, aside from being fun-fun-funny and grrreat reality TV, then we should do the reversr, a la George Costanza, and convict the fast and acquit the slow!! OK!OLE! A new hope?…like the Star Wars movie? What does Han Solo have to do with this? I mean, Han wasn’t anti-wookie or anything…Han shot all those Empire troopers…is that it? Was that like shooting Trayvon? Shurely Not! Aristotle, who had been taught by Plato, denied that women were slaves or subject to property, arguing that "nature has distinguished between the female and the slave", but he considered wives to be "bought". He argued that women's main economic activity is that of safeguarding the household property created by men. According to Aristotle the labour of women added no value because "the art of household management is not identical with the art of getting wealth, for the one uses the material which the other provides"
I don't agree with death penalty, because I think there are wrse things a man can experience than death. Even though i have no idea how it feels like (if it does whatsoever) to be dead, I think a life of work in prison for example is worse. Race is still a big issue, no matter how much we might deny it. Discrimination is a long way from being a distant memory. It's interesting that US law is so much based on precedent so freely. It's one of the few countries which still use this system. The rest of the countries rarely use the precedent to find a solution for a case..
"But, bizarrely, the High Court ruled that this evidence of systemic racial bias didn’t matter. "